The opinions and views on this site are solely individual. They do not reflect any other organization we may or may not be associated with, in any way. Information provided on this website is accurate to the best of our knowledge, however, there may be omissions, errors or mistakes. Readers are requested not to see any post in this blog as a professional advice. Please do your own research or consult a professional before taking action upon any information provided in this website. Tech Apogee will not be responsible for any loss or damages caused in connection with the use of this website. In this website there are several links to other websites which you can visit, although we strive to provide only useful links, we do not have control over other site’s content, as the content or site owner may change at any time. Links in this site do not necessarily imply a recommendation to the whole site. We appreciate your comments, however, if we find any comment which is abusive, spread hatred or hurts anyone’s opinion then we reserve the right to remove them. We keep our comments moderated to maintain the integrity of individuals. 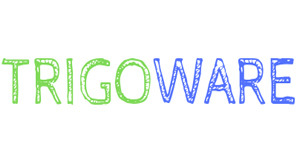 Trigoware reserves the right to change the way we manage or run the blog, the focus or content of this blog at any time without any prior notice.